Any good financial advisor will make investment recommendations only after a thorough evaluation of the client’s goals and objectives. The best investment choices will vary depending on what the client is trying to accomplish. Saving for home, a child’s education, or retirement will all require a different approach to putting money away. When it comes to buying a car, a similar philosophy may apply. Historically, most consumers have considered buying used cars a better investment than buying new cars; however, your objectives determine whether or not it makes sense for you. Depending on what you’re trying to accomplish, buying a new car may actually be a better investment. First, it probably makes sense to begin with a discussion of the basic facts surrounding the new vs. used debate. From a purely financial perspective, used cars are often seen as a more sensible purchase. Because the previous owner has weathered the initial period of sizable depreciation, used car owners experience a less accelerated rate of deprecation. In practice, this means that the price they paid for the car will be much closer to the price they can sell the car for later. This is the crux of the traditional argument for buying used. But manufacturer deals and incentives can often close the gap between the cost of buying new and used, making a new car purchase the more affordable and logical decision. Resale value is only one objective for buying a car. Many drivers have different objectives for purchasing a car. In the following situations, it may make more sense to buy new than to buy used. If you are hoping that your investment will yield more time, buying a new car probably makes most sense. New vehicles are less prone to breakdown and failure, and as a result, they usually require less time of their owners. For people in some stages of life, time is actually less plentiful than money. For those individuals, a new car may be a great investment. Cars are constantly improving and automotive technology is getting better and better. From backup cameras to Bluetooth connectivity, new features can make our lives better, safer, and more enjoyable. The newest features are only available on new models of cars, so if you feel like you can’t live without one of these features, a new car is a much better investment than a used car that lacks your desired feature. There is little doubt that we, as humans, use our vehicles as social signals. In other words, we use them to say something about ourselves. It’s not good or bad, it’s human sociology. We use our purchases, our apparel, our appliances, and lots of other things to establish and communicate our personal stories. In fact, buyers of used cars are also using their purchases to say something about themselves. If buying a car (or a type of car or a feature of car) that can only be purchased new, it may be a good investment for you. For a long time, the new vs. used car debate has been oversimplified. 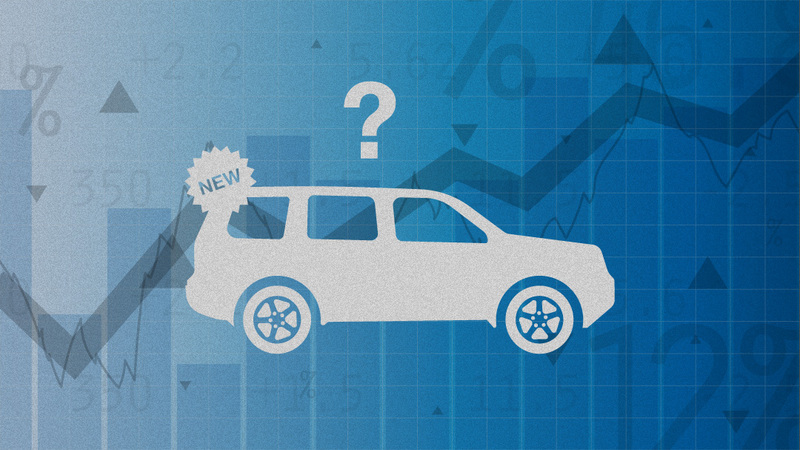 Of course, buying a certified pre-owned vehicle makes more financial sense in some scenarios. But it is a mistake to assume that all drivers are always in those same scenarios. As with any investment or purchase, the specific objectives of the expenditure are important. For certain people and certain objectives, buying a new car may make a lot more sense than buying a used car.